Obergurgl has the highest setting in Europe and is part of the top ski resort Obergurgl/Hochgurgl in the Austrian Alps. Winter sport lovers adore it because of its very long winter season, which lasts from early November until the end of May. Obergurgl is situated at an altitude of 1930m and is surrounded by twenty mountains with an altitude of at least 3000m where you can enjoy the stunning mountain panorama. The village is situated in the district of Sölden, only 14 kilometers from a town with the same name and also the famous ski resort with a glacier. Skiers can enjoy their day in the mountains without waiting in unpleasant lines, thanks to the most modern lifts and 110 km of slopes. There are 35 km of blue, 55 km of red and 20 km of black slopes, so everyone will find what they are looking for. The town is suitable for people who prefer to go on vacation without a car. Ski lifts, ski slopes, a ski school, shops and restaurants are within walking distance. Obergurgl retains the status of an exclusive destination. The properties for sale are very limited here - almost none of the existing owners sell real estate in Obergurgl. The construction of new residential projects is a rarity. Property prices are higher (up to 8.000, - EUR/m2) than in most other Austrian alpine resorts, although due to the limited offer it is a very good place to invest. In case you are interested in reselling the property in the future, good liquidity will be ensured. There are many whom are interested in purchasing real estate in Obergurgl. The resort is particularly popular around citizens and investors from the UK. Are you interested in this resort? 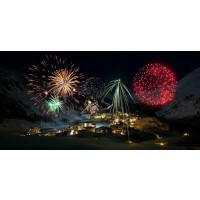 Would you like to spend your vacation in your own apartment in Obergurgl? For real estate´s offer in this region or in another regions of Austria, please contact us. We would be glad to prepare the offer according to your wishes.